EXCLUSIVE! No matter how many children or grandchildren you have, you're proud of every one. Show off a little in one of our shirts. 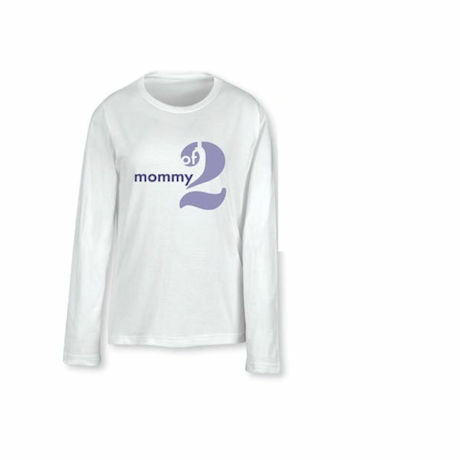 White tee is 100% combed ringspun cotton jersey, softly shaped for a feminine fit. Sizes S-2X. Imported. Specify number (from 1 to 99), endearment (Granny, Mama, Nana, etc.) up to 12 characters. Printed in lavender. A great gift for a new mom or grandmother. Allow 1-2 weeks. No rush delivery. No cancellations or changes after 24 hours of ordering.